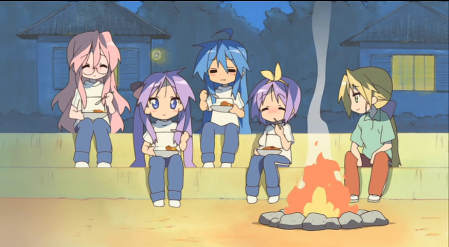 Cool and Spicy » Lucky Star OVA! 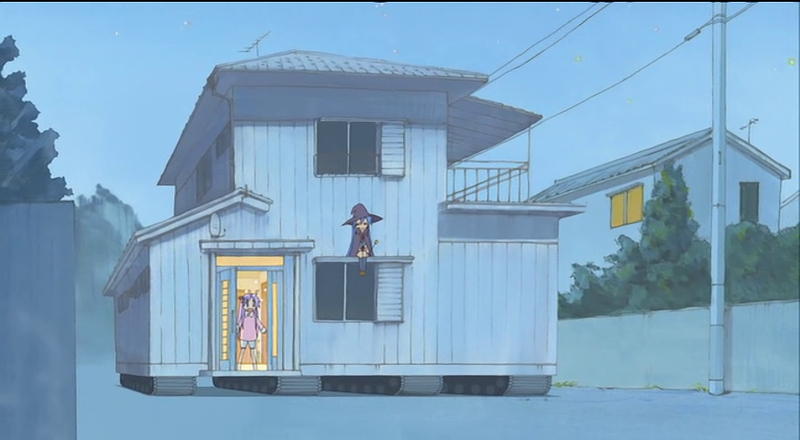 It’s out ^^ As of this time, there are no subs out yet, but you can find the raw at various places around the interwebs. 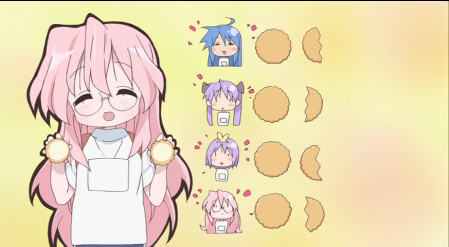 Seeing as how I’ve been waiting for this for months, I decided to grab the raw and use my rusty Japanese skills to decipher the moon language used within. 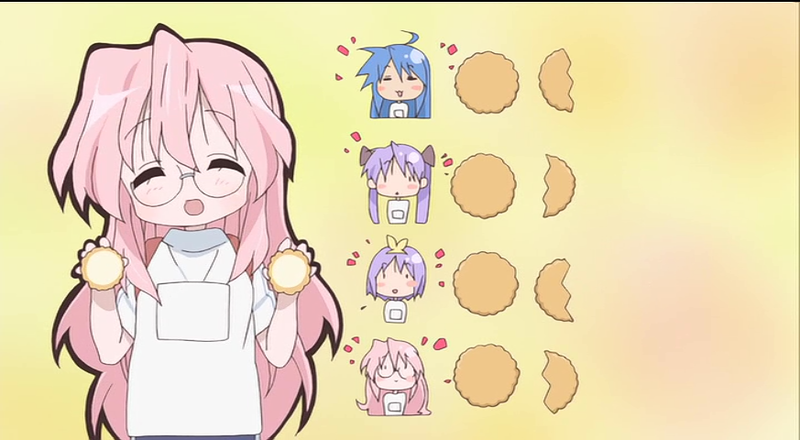 MMO time! Konata and Kuroi-sensei show Kagami and Tsukasa how to play the game. 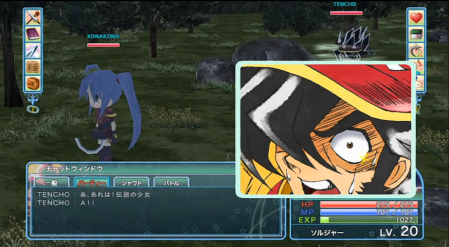 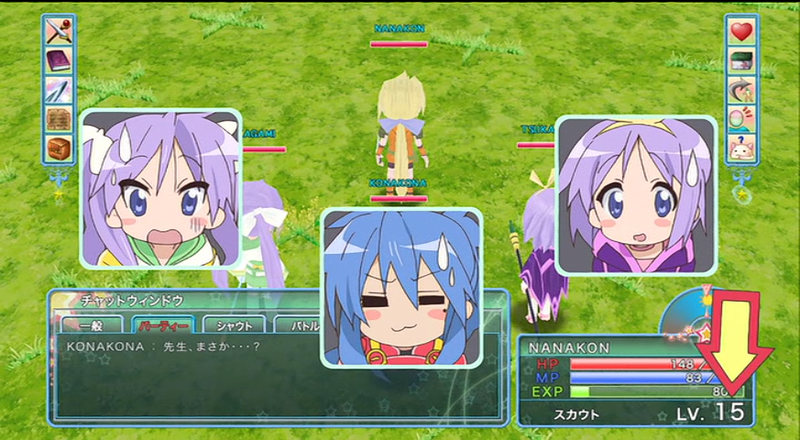 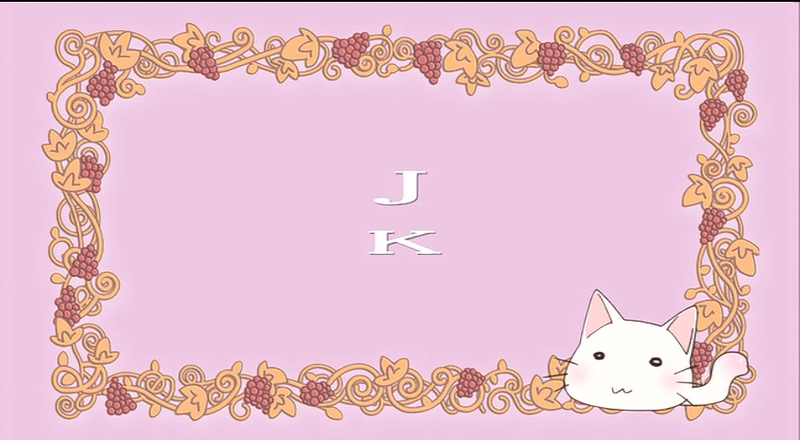 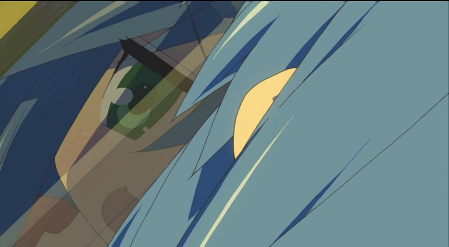 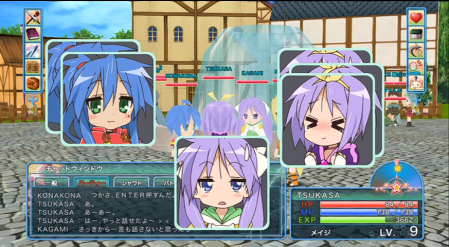 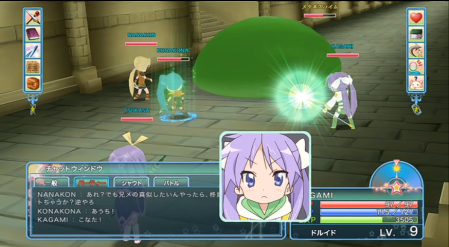 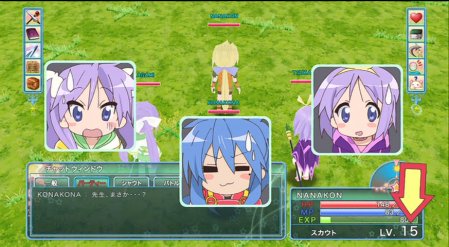 It’s apparently the MMO Konata and Kuroi-sensei play throughout the TV series. This time, however, we get to see the Hiiragi twins join them on their adventures. 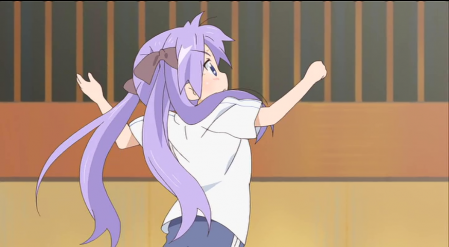 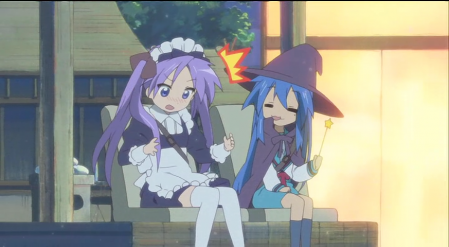 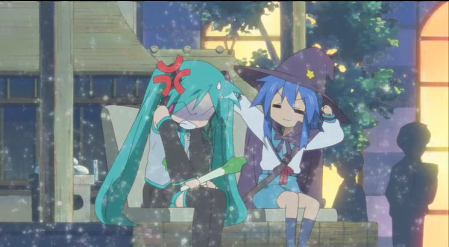 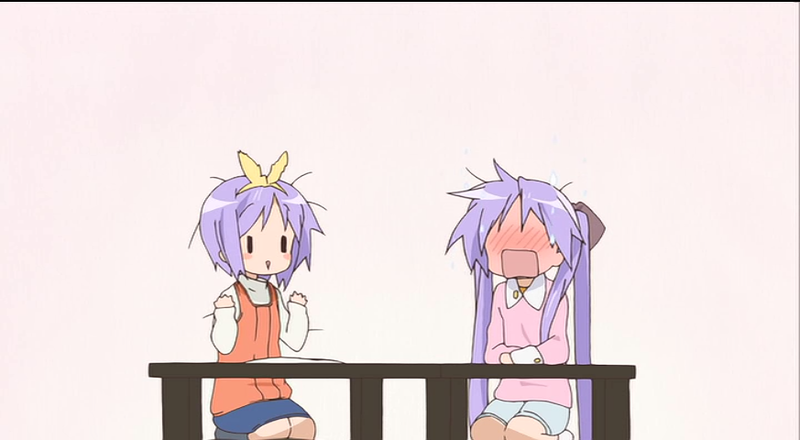 Konata attacks, Kagami heals. 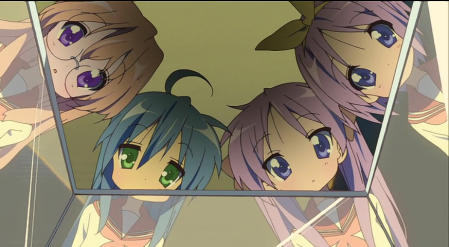 Fitting roles? Pose! 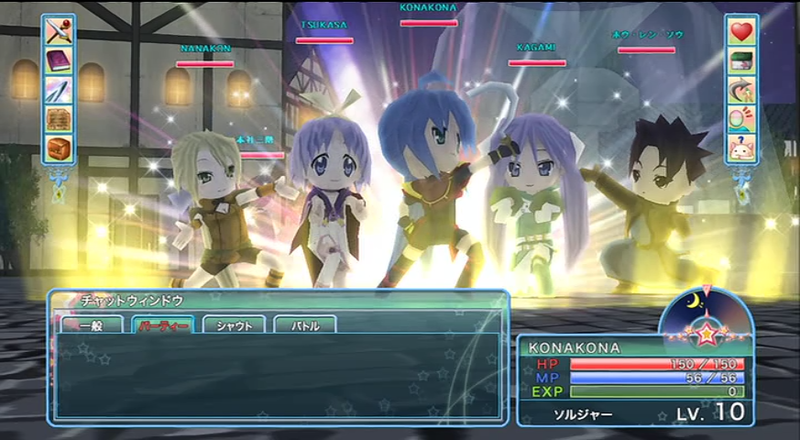 Konata-inspired Hare Hare Yukai group shot. 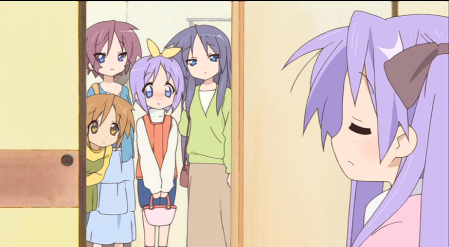 The Hiiragi family goes out, but Kagami decides to stay home. 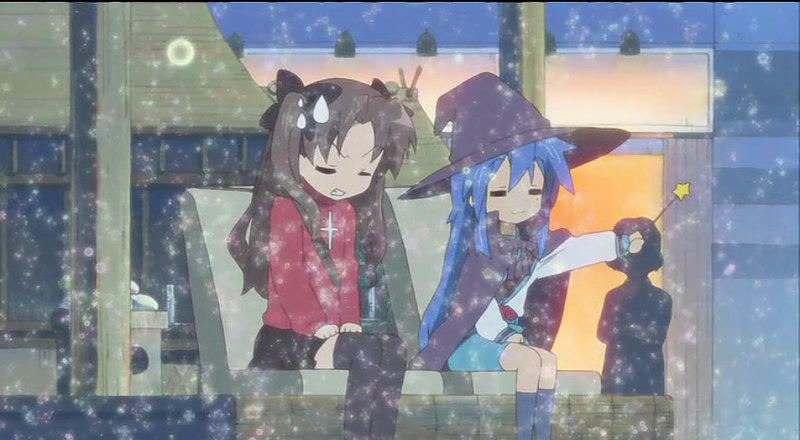 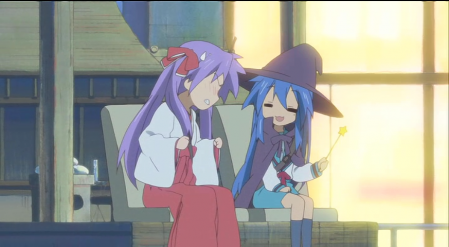 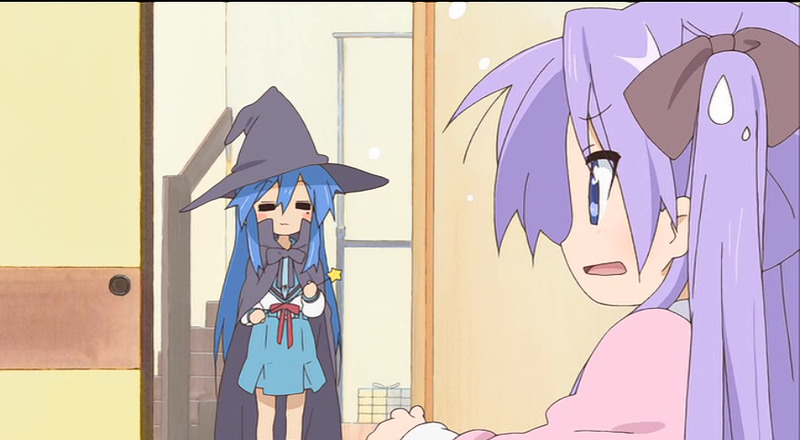 Konata shows up (dressed as Mahou Yuki from Haruhi) and tries to convince Kagami to go to some kind of cosplay match. 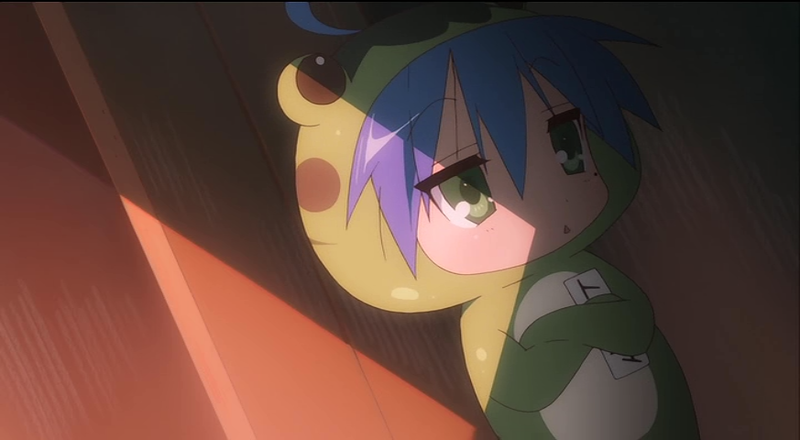 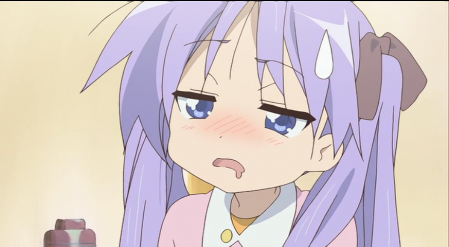 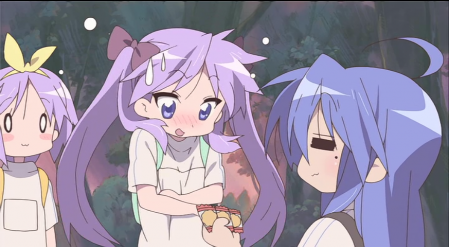 Kagami refuses so, Konata magically attaches treads to the Hiiragi house and brings her along by force. Finally, Kagami gives in and goes. 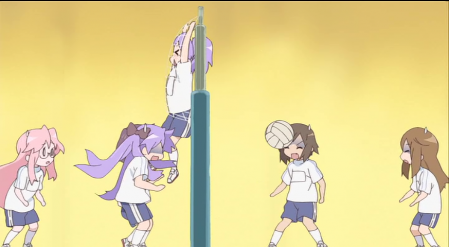 Volleyball during PE. This is a cute story. Tsukasa is playing on the team against Kagami and are losing. 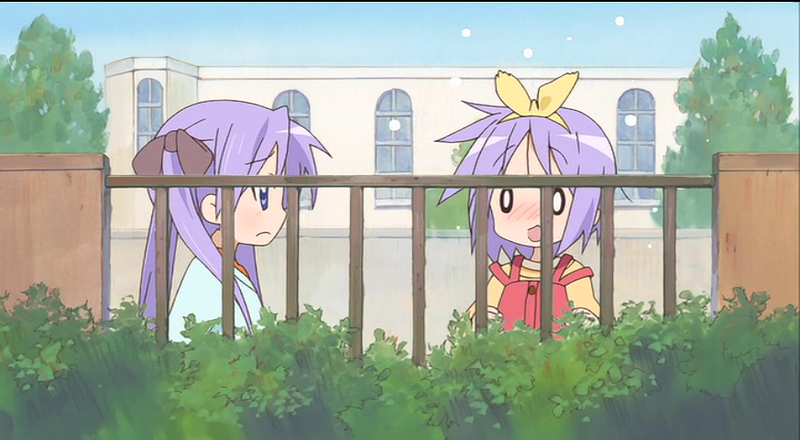 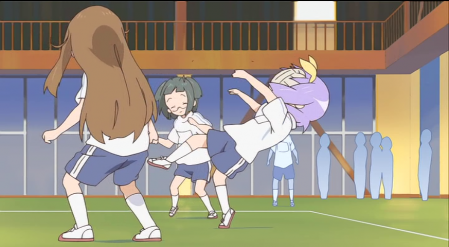 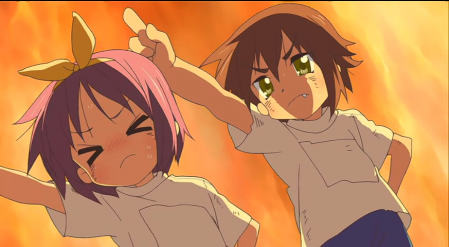 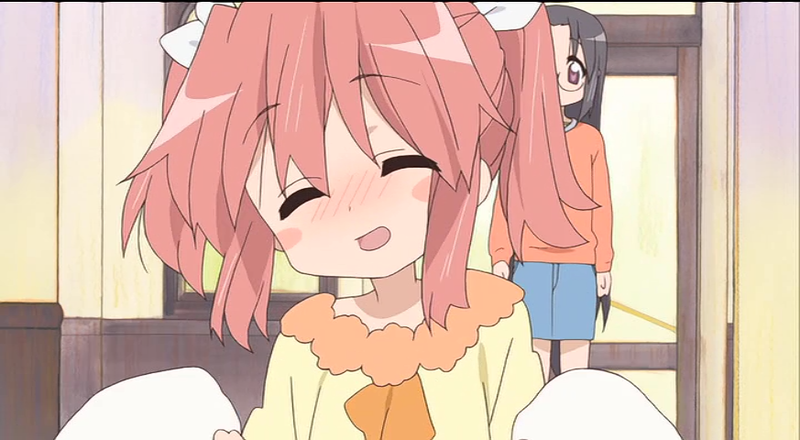 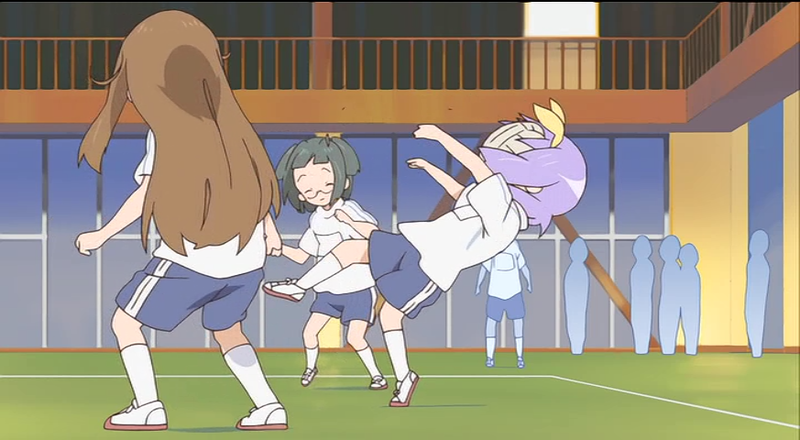 Misao convinces Tsukasa to not give up and to try to beat her skilled sister, Kagami. 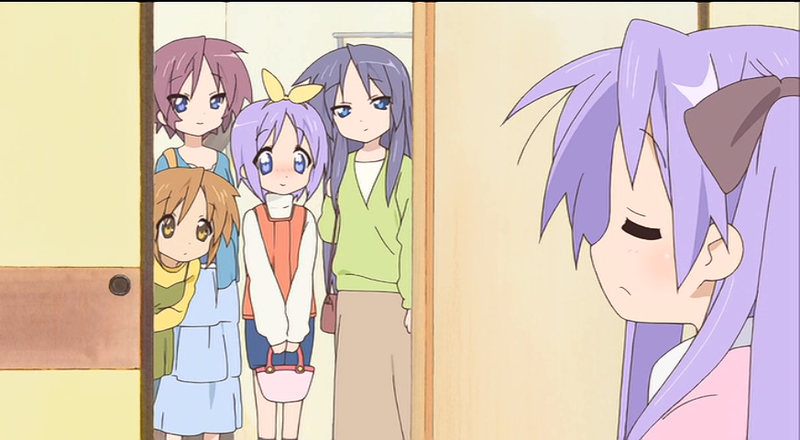 Tsukasa gives it her best but falls short. 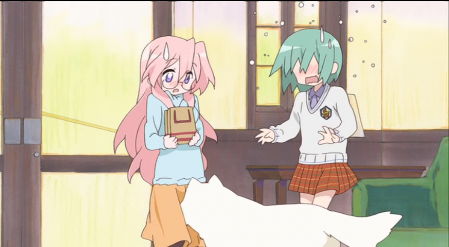 Final short story is about the girls visiting a pet shop (of horrors?). 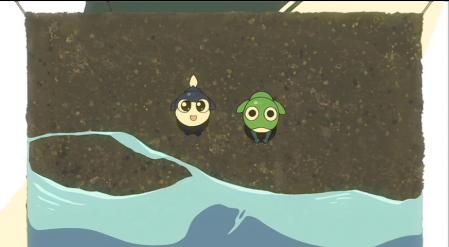 They are shown some Keroro frogs by Zero (!) and are subsequently turned into frogs themselves… I think this is the story I least understood. 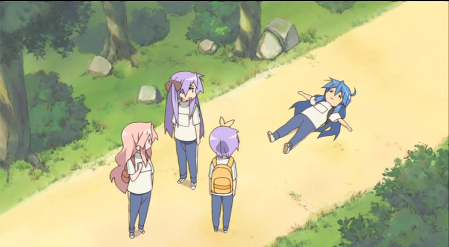 I didn’t get some of the Japanese here so that probably didn’t help. Final Verdict: If you’re a Lucky Star fan, you can’t pass this up! 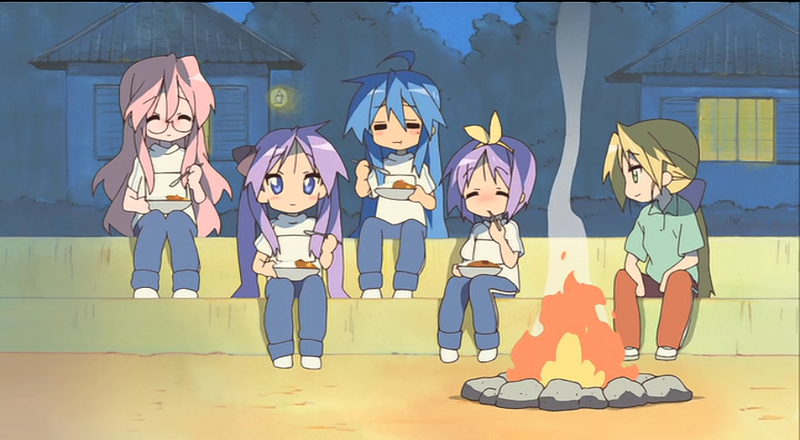 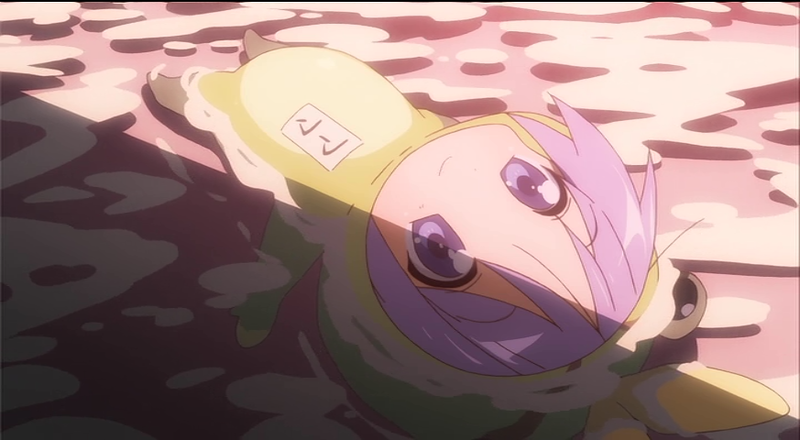 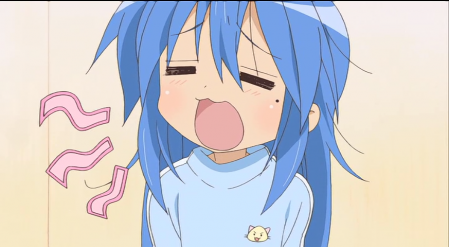 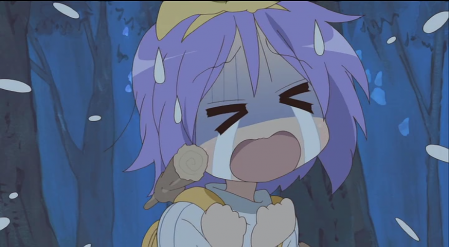 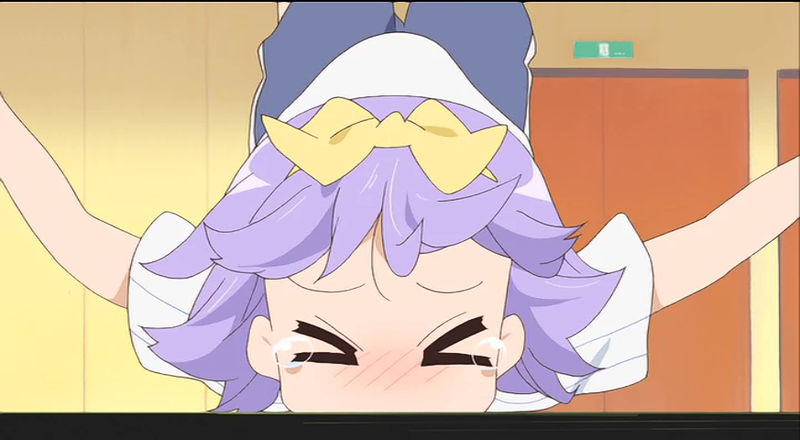 If you’re new to Lucky Star, watching the TV series first might be advisable.